Chia seeds are very uncommon to Indian market though it has incredible health benefits. They are among the healthiest foods found in earth. Health Benefits of Chia seeds: They are over loaded with nutrients which work in favor of our body and brain. 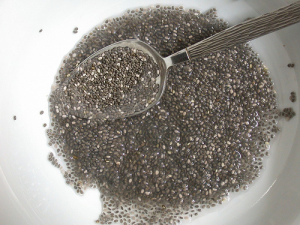 Chia seeds are very rich in antioxidant nan nutrients. They are also contain good amount of B1, B2, B3, Zinc and potassium. Seeds are generally calorically dense but unlike other seeds chia seeds are on lower side. It is absolutely gluten free which makes this super seeds available for the gluten allergic individuals. Why I call it a super seed in because they have all the properties to keep you away from the non communicable diseases. So to give yourself a healthy life take a route of health foods and include it in your daily diet. As little as 1-2 tablespoon is enough to have its benefit. Let me list down the super properties of chia seed. 1. Antioxidant:- Chia seeds lowers the oxidative stress in the body by fighting against the Free radicals that destroy the various cells and contribute ageing and cancer. Antioxidants protects the good fat I.e omega3 from getting rancid. 2. Highly fibrous:- Out of the total carbohydrate available, 90% comes from fiber and there by making it favourable for obesity, diabetes, and heart diseases. For obesity it will give satiety for a longer time and help loose weight. For diabetics it will control sugars. In case of heart diseases it will lower the blood cholesterol and lipids and thereby giving a healthy blood lipid profile. 3. 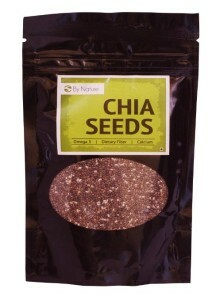 Good quality Protein:- Chia seeds have too balance of all amino acids an hence its a good quality of protein source. 4. 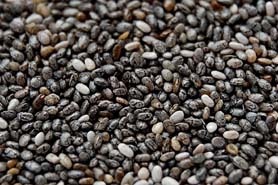 Calcium Rich:- A daily 30gms of Chia seeds gives 18% of RDA calcium. So it is also good for growing kids who have additional calcium requirements. Buy Chia Seeds now and try it for your diet. Try out these seeds and get benefits right away.